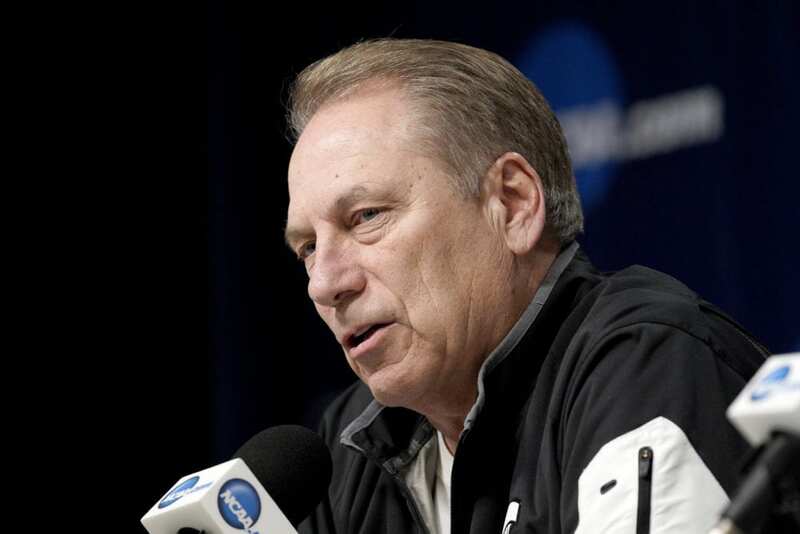 DES MOINES, Iowa (AP) — Unlike the grind of conference season, Michigan State coach Tom Izzo says, the fun of coaching in the NCAA Tournament is coming up with a game plan for an unfamiliar opponent, maybe one he and his team had never faced. That won’t be the situation Saturday when the second-seeded Spartans (29-6) and No. 10 Minnesota (22-13) meet. It will be the first time two Big Ten teams have squared off in the tournament since 2000 and at the earliest point ever. And guess what? The winner would face another Big Ten opponent next week in the East Region semifinals in Washington, D.C., if sixth-seeded Maryland beats third-seeded LSU on Saturday. Michigan State, which held off Bradley’s upset bid in the first round Thursday, has not made it to the second weekend of the tournament since 2015. That was the end of a run in which the Spartans reached the Sweet 16 seven times in eight years, including three Final Four appearances. Minnesota is in the round of 32 for the first time since 2013 and trying to reach a regional semifinal for the first time since 1997. The ’97 team made the Final Four, though that tournament appearance was later vacated because of NCAA rules violations. Six weeks ago, the Spartans dominated Minnesota 79-55 in East Lansing, Michigan, on a day Magic Johnson and his teammates were on hand to celebrate the 40th anniversary of winning the national championship. The Gophers had no answer for big man Nick Ward, who had 22 points; season scoring leaders Amir Coffey and Jordan Murphy combined for just nine points. Minnesota comes into Saturday’s game playing some of its best ball. The Gophers upset regular-season co-champion Purdue twice in 10 days, the second time in the Big Ten Tournament, and they were extremely sharp in their 86-76 first-round win over Louisville on Thursday. According to NCAA director of media coordination and statistics David Worlock, the selection committee tries to avoid earlier-round pairings between teams from the same conference. The selection principles state that if the teams played only once during the season, including the conference tournament, they can play as early as the second round. Minnesota and Michigan State met only once. MARYLAND-LSU: This matchup is all about the big men. There is no shortage of them, either. Sixth-seeded Maryland (23-10) has Bruno Fernando and Jalen Smith in the paint. Third-seeded LSU (27-6) counters with Naz Reid and Kavell Bigby-Williams. That’s a combined 27½ feet and 955 pounds of post presence that will be the center of attention in the second round of the East Region. Benford quickly added that point guard play will be equally important, with LSU’s Tremont Waters and Maryland’s Anthony Cowan playing pivotal roles as distributors. But all eyes will be on the big guys — and for good reason. All four notched a double-double in the opening round. Smith, a 6-foot-10, 215-pound freshman who wears glasses and goes by the nickname “Stix,” had 19 points and 12 rebounds against Belmont. Fernando, a 6-10, 240-pound sophomore, added 14 points and 13 boards. Together, they helped the Terrapins dominate the paint. LSU, the Southeastern Conference’s regular-season champion, did the same against Yale. Reid, a 6-10, 250-pound freshman, finished with 14 points — including two on a thunderous dunk in the first half— and 10 rebounds. Kavell Bigby-Williams, a 6-11, 250-pound senior, had 10 points, 10 rebounds and four blocked shots. The LSU duo has experience with opposing bigs, having dealt with Kentucky star PJ Williams as well as Tennessee’s Grant Williams and others. For Maryland, this will be a new challenge. AP Sports Writer Mark Long in Jacksonville, Florida, and Dave Campbell in Minneapolis contributed to this report. Be the first to comment on "Big Ten Battle: Gophers’ Pitino Has No Gripe Facing Spartans"